This is what I have been waiting to see the entire PGA show. New launch monitor products at lower price points! Its an over head launch monitor, with club data, ball data(spin axis! ), high-speed video playback of club at impact and course software for $6000! (sensor only costs $5500). Depending on accuracy, I could see this product really taking off, especially if they allow some integration with TGC/E6. If that ball is marked, he has problems with lighting and focus...… welcome to the sim world. The bright side is that once this is corrected, he won't have to worry about it ever again. I still want to know the cameras they are using. The ball spin cameras and club path camera will be part of the unit. The cameras that are showing your golf swing.,.... from behind and across are the optional cameras. This guy either has too much light or there is an adjustment on the camera that he is missing. Look like someone already got the unit and verified the backspin/sidespin with GC Quad and was within 100rpm. Also plan to work with TGC2019 and E6 Connect. Looking very promising and $10k cheaper than Foresight's Quad and Hawk. Was this in the USA? Great news BTW! I have been in pretty close contact with Doug at Uneekor and have not heard mention that US deliveries have started happening. This is indeed great news, and like gene438 I am hoping to get some more info, lots of questions for the lucky guy. I've watched several videos, I haven't seen one left handed player shoot that I've noticed. Anybody know what that means to the price point and equipment required to have left players use it as well? The side cameras are optional, and can be any type of USB camera. Doesn't even have to be high-speed. They just integrated those cameras in the software for swing analysis/teaching. Unlike the GCHawk, which offsets the hitting location for both left and right handed players, the uneekor uses the same center located hitting spot for both lefties and righties. Something to consider as you plan out your simulator as it will require a bit more usable width as compared to the GCHawk. 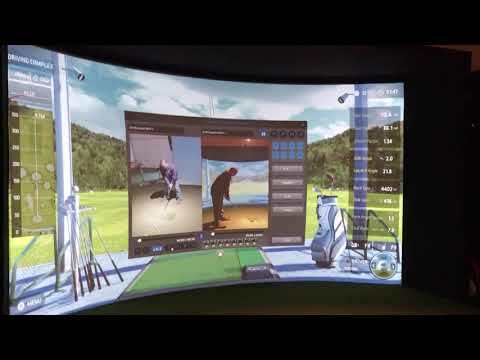 anthonywebb gene438 They have not started making deliveries yet, they are putting it into one location now in the US for someone who runs a facebook golf simulator group. It was installed over the weekend and they are just now starting to use it. Only preliminary thoughts have been posted so far. This is a deal breaker for me. Had my money ready to go but if it’s $12k+ that is not going to happen. That will be really disappointing, it’s tough to get a decent option for L/R players. That's not uneekors website..... Same tech, but not uneekor. They have confirmed several times the price point of 6/7/8k depending on software choice. Good call. I assume there is no way to order/pre-order currently? We have a new Uneekor unit paired with our curved studio. Im going to do a live stream tomorrow at 1:00 EST on our website https://www.golfsimulatorguys.com/. If you cant make it, Ill upload the stream to YouTube and post it here. I will stream through twitch which has a chat feature. Please feel free to ask questions. The TGC19 integration isn't finished yet so Ill just be using the Uneekor software.